BRANDON, MB – A Brandon University (BU) associate professor says students must think strategically during their education journey in order to maximize job opportunities after graduation. 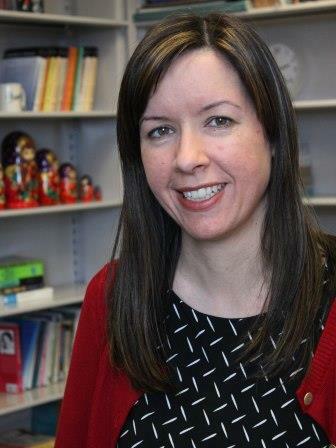 Dr. Rhonda Hinther, Department of History, made her comments during a keynote address at the New Frontiers graduate history conference at York University in Toronto, a premier annual event that draws participants from North America and Europe. Dr. Hinther holds a PhD in History from McMaster University. Prior to joining BU in the fall of 2013, she worked in public history, serving as Director of Research and Curation at the Canadian Museum for Human Rights (CMHR) in Winnipeg MB and, before that, as Curator of Western Canadian History at the Canadian Museum of Civilization (CMC) in Gatineau QC. She has played a role in several historical film projects, including If Day: The Nazi Invasion of Winnipeg, Black Field, and The Oldest Profession in Winnipeg: the ‘Red Light District of 1909-1912. Her most recent film project released in 2013, Ukrainian Labour Temple, is based on her PhD dissertation research about pro-communist and radical Ukrainians in Canada, which is also the subject of her forthcoming book. Dr. Hinther is currently researching leftist radicals interned in Canada during World War ll, through a Brandon University Research Council grant. This fall, as part of a course she will be teaching on oral history, she and BU students will begin gathering oral histories about Brandon events from the past 50 to 60 years.